Enchantment Resort. Photo courtesy of Enchantment Group. Spectacular scenery, no cell phone service, and old-fashioned outdoor fun is all you need for total rest and relaxation. Did we mention that this spot is right here in the good ol' U.S.A.? 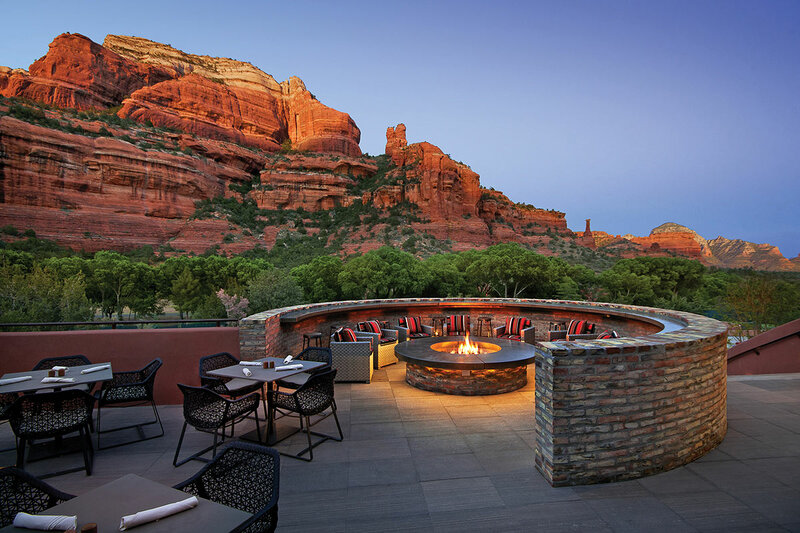 Gentedimontagna editor Berit Baugher recaps her long weekend in Arizona's red rock country. 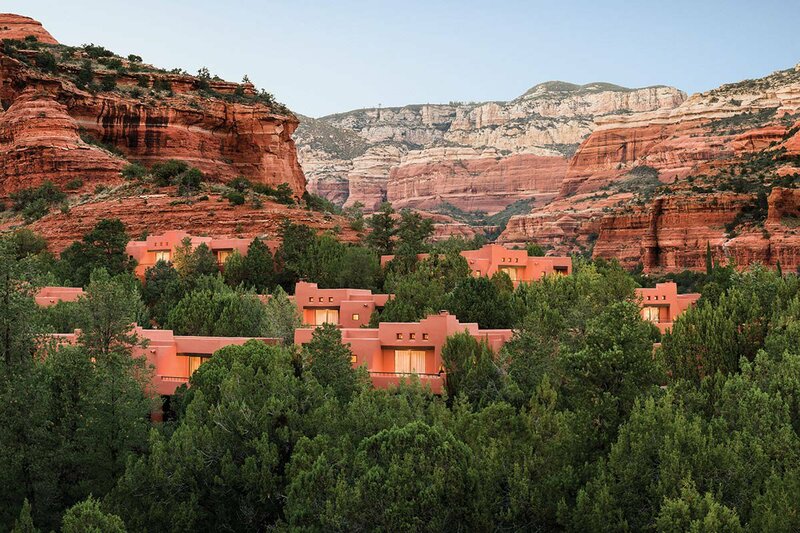 SEDONA, Arizona – In a year that took me as far as the busy streets of Shanghai and Kyoto's tranquil countryside, one of the most bizarre, colorful, and curious landscapes I came across was in Sedona, Arizona. My five-and-a-half hour flight to Phoenix was followed by a two hour drive that had my eyes trained on an ever-changing landscape, which slowly unfolded to reveal stunning red rock formations unlike anything I've encountered outside of the American Southwest. It was impressive, awe-inspiring, and overwhelming — a reminder that the world's most spectacular landscapes can be found right here in the United States. People visit Sedona for myriad reasons. Mild climate and dry heat make it a pleasant destination to visit most of the year. There are world-class golf courses, retreats for couples, and resorts for families, endless varieties of outdoor activities for all levels, and famous vortex sites and new-age magic. My hotel, , is said to be located in the middle of one of the vortexes. It has not been proven scientifically, but many people report feeling a palpable energy in these spots; energy that can be harnessed for spiritual and psychic powers and very good feelings. I didn't personally experience anything profound because of the vortex itself, but it was hard not to feel spiritual and metaphysical power when surrounded by such extreme natural beauty. My room, number 168, was a refuge from the sun. I visited in the midst of an intense heat wave that had temperatures reaching 120 degrees. As bad as that may sound, somehow, because of the dry heat, it was actually quite pleasant as long as I kept my outdoor activities limited to early morning and late afternoon. The room was expansive with a large living area overlooking a private deck, a spacious desk, a comfortable bed, and a bathroom that rivaled the size of most New York City apartments. The hotel is best know for its world-class spa, . It was pretty great, I totally understand why people book the week-long packages. If I get the chance, I'll come back and do that too. A tip that I was given and will pass along: skip the typical spa treatments and opt for those influenced by the local Native American community. Because of the timing of my visit, I was able to book Spirit of The Full Moon — a treatment that starts with the ritual of writing down thoughts or feelings that no longer serve you, followed by scalp, body, and foot massages that purge the body and mind of those thoughts and feelings. I also did a reiki session because, hey, when in Sedona. The staff was friendly and helpful, the food was great, and the outdoor activities were thoroughly entertaining. I can't remember a time where I felt more relaxed, which means Enchantment Resort will definitely be a repeat vacation. Rates from $425 per night. The patio at Tii Gavo. Photo courtesy of Enchatment Group. Casita King room. Photo courtesy of Enchantment Group. The scenery of Boynton Canyon can't be beat: bright blue skies, red rock formations, and Coconino National Forest. 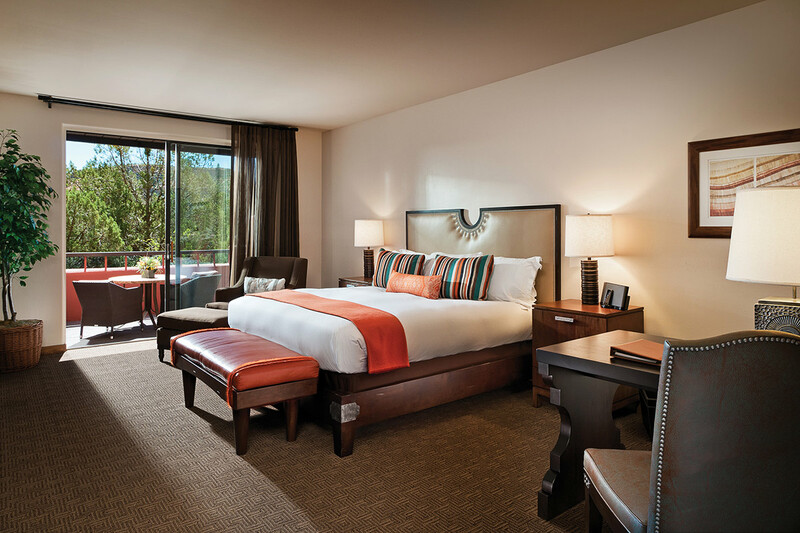 Rugged southwestern decor with a touch of luxury. Couples, families, groups, and solo travelers — pretty much anyone who wants to enjoy nature and spend time decompressing at a terrific spa. There is no shortage of dining options: is the fancier restaurant, serving contemporary American with views of the red rock canyon walls; the more casual Southwestern-style is great for lunch; my favorite, , has incredible spa food. There are several swimming pools as well as children's programming, tennis lessons, yoga, pilates, HIIT bootcamp, hiking, mountain biking, and art and cooking classes. There are five tennis courts as well as the beautifully secluded golf course. Mii Amo spa is a destination in itself. Enchantment guests are granted full use of the spa facilities and can partake in the lengthly menu of massages, facials, reik treatments, and nutrition consultations. Many of the treatments are inspired by local Native American traditions. 218 guest accommodations, including one and two-bedroom casitas, junior suites with private patios, two-bedroom haciendas, and casas with living rooms and kitchens. Private decks, iPod docking stations, mini bar with snacks and drinks, ironing board, full-size hairdryer. WiFi is free. The location in Boynton Canyon is famously known to be a cell phone dead zone. (Drawback or perk?!) As with most modern resorts, Enchantment has reliable internet and landlines in each guest room, so you wont be totally off the grid. Your surroundings. You are smack in the middle of one of America's most beautiful landscapes. The magnificant Grand Canyon. Photo by Berit Baugher. 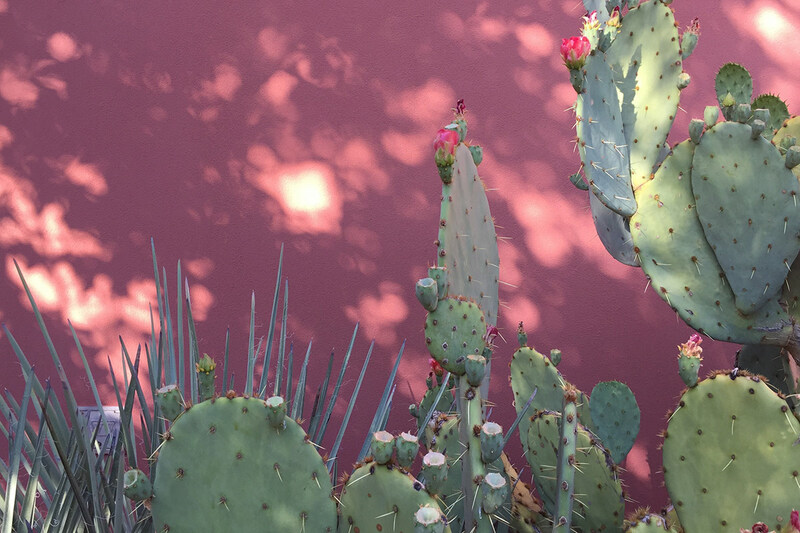 Cacti outside Mii Amo. Photo by Berit Baugher. Boynton Canyon is a fifteen or twenty minutes from downtown Sedona. If you're like me, you may not want to leave the hotel, but when you do, it will be spectacular. I scheduled three "off-site" adventures through the concierge. The first, a sunrise hike to Chimney Rock with guide Nina Reheel was both visually and physically satisfying. Surprisingly, an afternoon spent off-roading with turned out to be a highlight. The bright pink cars look gimmicky, but it was really fun, like riding a roller coaster — except you're in a car traversing Arizona's rockiest terrain. A Grand Canyon sightseeing tour with was by far the best thing I did. Catching my first glimpse of the iconic natural wonder from a Cessna was a real treat. 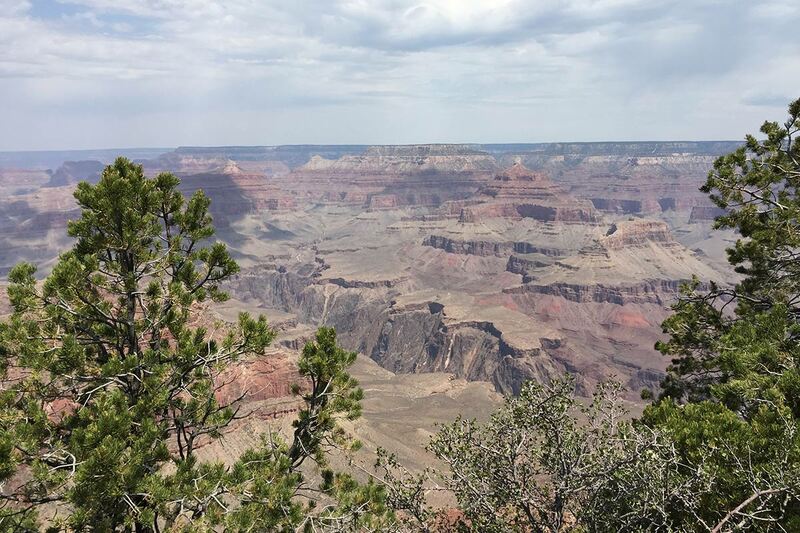 It gave me a true sense of just how expansive and deep the canyon is. Узнайте про интересный блог с информацией про www.biceps-ua.com/.